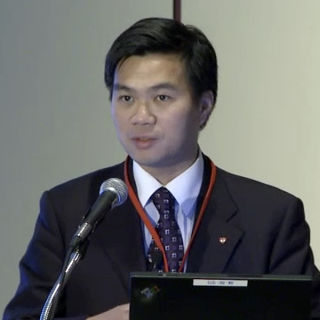 Dr. Chi-Ming Chow is an attending staff cardiologist at St. Michael’s Hospital. He is a full professor in the Department of Medicine, University of Toronto. He has an undergraduate degree in computer science from Brown University, USA. He completed his Doctor of Medicine (1990) at McGill University (Montréal, Québec) and a Masters of Science in Epidemiology at McGill University (1997). He completed his training in Family Medicine, Internal Medicine and Cardiology at McGill University. He then pursued his clinical and research echocardiography fellowship at Massachusetts General Hospital, Harvard University before joining the Division of Cardiology at St. Michael’s Hospital in 2001. Clinically he specializes in non-invasive cardiac imaging, in particular echocardiography and stress echocardiography. He is the Director of the Echocardiography Laboratory at St. Michael’s Hospital. Currently, he a past president of the Canadian Society of Echo (CSE) and the president of the Chinese Canadian Medical Society (CCMS). He also speaks Cantonese and Mandarin fluently. He currently takes care of many GTA Chinese speaking patients in his practice. His academic interests include medical informatics and he has authored many popular medical education software programs (e.g. CardioMath, ECG Made Simple, iCCS for the Canadian Cardiovascular Society, iASE Guidelines App for the American Society of Echocardiography, CDA Clinical Practice Guidelines, iSVU Guidelines for the Society for Vascular Ultrasound, and Choosing Wisely Canada). These medical software programs are being used by healthcare professionals and students worldwide. His other current areas of research include ethnic differences in cardiovascular disease and investigating new technologies in non-invasive imaging. He also works on using artificial intelligence/machine learning to improve cardiac imaging and patient care. He had won multiple local and national teaching awards to recognize his teaching and innovation in medical education. Some of his awards include the CSE achievement award in 2017, the CCS Distinguished Teacher Award in 2015, the Ruedy Award for Innovation in Medical Education presented by the Association of Faculties of Medicine of Canada and the Dalhousie University Faculty of Medicine and the 2009 William Goldie Prize for Innovation by the Department of Medicine, University of Toronto. He has authored multiple peer-reviewed journals and presented in local, national and international scientific meetings. He is a media spokesperson for the Heart and Stroke Foundation; and the President of the Chinese Canadian Council, Heart and Stroke Foundation of Ontario. He participates actively in health promotion and research among ethnic Chinese. To recognize his service to the Heart and Stroke Foundation of Ontario, he won the Award for Volunteer Excellence in 2007 and the Rick Gallop Award for Pioneering Leadership in 2008. In 2010, he was awarded the ACCE Best Community Service Award, and in 2012 he was awarded the Chinese Canadian Legend Award by the Asian Business Network Association in recognition of his service to the community.